Real beauty should come from proper hygiene. Men should see to it that they keep their body clean and odor-free at all times. Since men don’t wear make up to cover up their imperfections, it should be their goal to always maintain a healthy looking skin at all times. 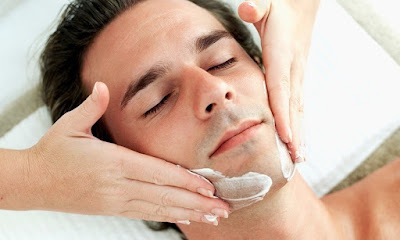 Here are top hygiene and beauty tips for men. Always keep pocket cologne in handy. Men tend to sweat a lot and keeping a perfume or cologne can help you stay fresh smelling all day. Use it only when needed and never overdo it. If you want to have a good set of white teeth, you should avoid smoking. This is the number one cause of bad breath too. This habit can also add fine wrinkles around the mouth area. It also adds a yellowish shade to your nails plus it is very bad for your health. Smoking can actually make you look older than your actual age. To smell fresh all day long, it is important to use a deodorizing product that works for you. Use a deodorant made specifically for men for your armpits Body odor is an absolute turn off. Make sure that you use a product too that can prevent athlete’s foot and foul-smelling odor on your feet. Hair care is essential for men too. Find a suitable shampoo and conditioner that will keep your hair looking shiny and fresh smelling all day. If you can, do not use gel products that can make hair sticky. If you do, make sure to wash your hair before going to sleep at night. To stay fresh all day, see to it that you have a clean surrounding too. Your car should be kept tidy at all times and use an air freshener to keep it smelling fresh. Your home and office should also be spin and span all the time and you are sure to have a positive and fresh outlook all day.